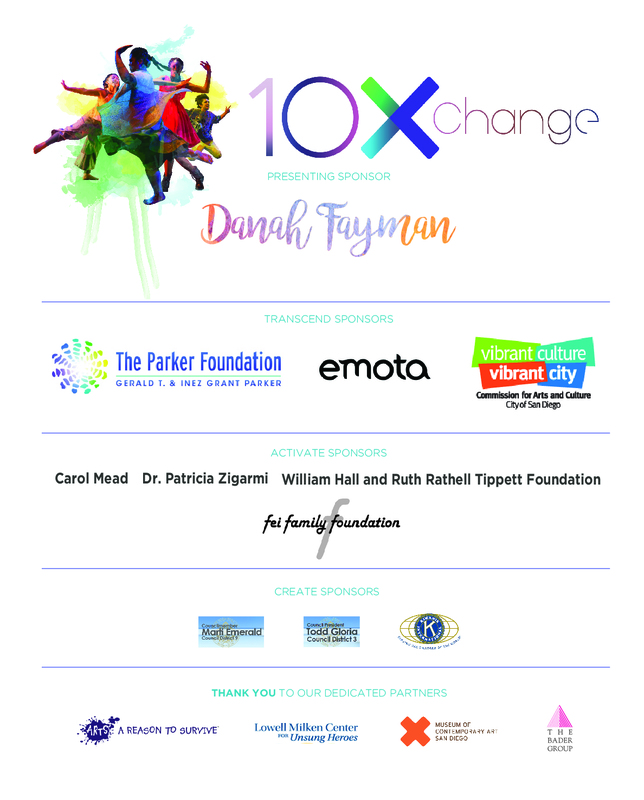 transcenDANCE Youth Arts Project presents 10xChange, a CREATE program teen dance performance, in collaboration with the The Lowell Milken Center for Unsung Heroes and The Museum of Contemporary Art San Diego. Please join us for the culminating performance of a six month long exploration focused on practicing gratitude and creating connection through discovering unsung heroes in our community. This performance celebrates 10 years of transcenDANCE and honors these heroes for their support along the way through a compelling dance theatre performance scored with original music and film.